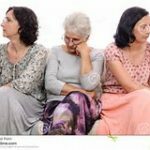 Eldercare | Don't Give Up On Them! How many of us have said these words to our friends as we struggled to support our aging parents? How many more of us have felt this way, but remained silent about our concerns? If you’re in Boston this month, you may want to attend the performance of MALA at the Emerson/Paramount Center. Written and performed by nationally acclaimed playwright Melinda Lopez, this one-woman show brings to life the world of the adult child struggling to support her dying parents. Brilliantly irreverent, Melinda captures the universal struggle of family caregivers coping with her parents’ needs without losing her compassion or her sanity. Our thanks to our colleague Dianne Savastano, RN, MBA, founder of HealthAssist, for bringing this play to our attention. If you subscribe to Dianne’s newsletter here, use HealthAssist10 to save $10 on the ticket price. Here’s the link to purchase tickets.